Should Eye Surgeons Fulfill A Dying Man’s Wish To See His Family? Vincent Thomas had battled multiple myeloma for quite some time and gone through countless treatments and drug regimens, which weren’t stopping his cancer. He and his family made the decision to go on hospice care. The thing was, his eyesight had failed him. He had significant cataracts, or clouding of the lenses, in both eyes. He couldn’t see his family, he couldn’t drive himself to his doctor’s appointments, and this once-fiercely independent man had to learn to depend on others just to cut his food. He wanted to see his family before he died. 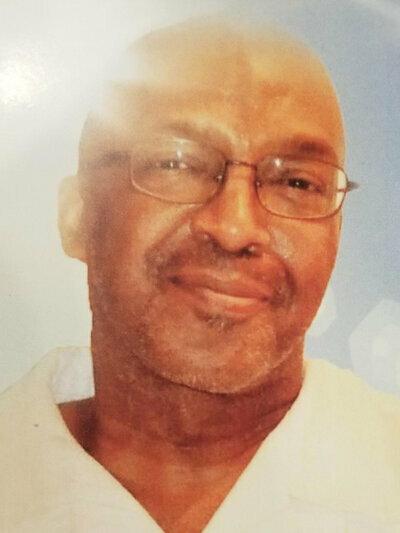 Although he had only a short time left, Thomas, who was 58 and lived in Detroit, wanted to proceed with surgery to remove his cataracts, even though he was stopping his cancer medications and going on hospice care. As an ophthalmologist, I consider a cataract a very easily treated disease. The surgery involves removing the natural lens and replacing it with a plastic one. It’s one of the most commonly performed procedures in this country, often takes less than 20 minutes and can be performed under local anesthesia with minimal risk. Patients go home the same day and are often prescribed several different eye drops, but the care is pretty simple. Vision often improves within a few days. It’s a pretty exciting treatment — I don’t think anything else in medicine gives such instant gratification! It’s kind of like changing a dirty and cracked windshield; the car itself is working fine, but the driver’s view of the road is blocked, so the car is undrivable. Switch out that windshield and voila! Instant improvement. But Mr. Thomas’ case started an uproar at Michigan Medicine, where I work. Our anesthesiologist and others on the operating room team were opposed to performing a surgery on a patient on hospice with only weeks to live. The anesthesiologist was trained in Britain and noted that Thomas’ cataracts would never be removed there, where committees decide on the utility of certain treatments and procedures. For someone who would only get a few weeks of “use” out of his surgery, the costs couldn’t be justified. Thomas’ oncologist was concerned about his health and had a serious discussion with him. However, Thomas understood the risks and decided it was worth it to undergo the surgery. After his surgery, Thomas regained his independence. He was able to drive himself to his appointments. He went to a family reunion where he was able to visit with relatives he had not seen clearly in years, and he could interact with his grandchildren for the last time. He died a few weeks after the operation. So were we right to perform this surgery? Or were we greedy doctors, only out for the bottom line, driving up the cost of medical care in this country? We see a cataract and need to take it out even though a patient is dying? If you have a hammer, everything looks like a nail, right? By one estimate, 27 percent of Medicare dollars are spent in the last year of a patient’s life. At the end of the life of a person who is dying from cancer, we often use expensive drugs or painful procedures that a patient must endure to prolong his life. These last-ditch efforts can be expensive and the treatments grueling, at times adding only a few months more of life, which may be pretty painful and difficult. For patients with multiple myeloma who have failed other treatments, treating their disease and the side effects of the treatment can cost $125,000 to $256,000 per patient. Compared with this, cataract surgery is chump change, at less than $3,000 paid out by Medicare when all fees are counted. We make heroic, costly efforts to prolong life, but what about treatments that improve life, that make people’s last days better and allow them to finish their days in a meaningful way? Nancy Berlinger, a research scholar at the Hastings Institute, was surprised that this one case created such a stir among Thomas’ care team. She notes that cataract surgery is a quick, highly effective procedure; is pretty straightforward; solves the problem quickly; and makes one’s remaining life better. In oncology and hospice literature, the importance of asking questions such as, “How do you want to spend the rest of your life?” is paramount. Certainly health care funds are not endless, and we have to take care that we are not wasting money that could be spent elsewhere. And part of our medical training these days centers on being efficient, thoughtful users of health care resources. But I argue that this was such a use. Cataract surgery has been shown to be cost-effective in hospice patients. As a doctor who has seen what a difference it makes to be able to see one’s family, I can’t imagine giving someone something more precious than sight in his final days.